The opening keynote speaker will be Azran Osman-Rani CEO of ifllix Malaysia COO ifllix Group and former CEO of AirAsia X. We had an opportunity to ask Mr. Osman-Rani about his upcoming presentation and some of the key messages that he will be delivering at the Summit. Click here for an earlier part of the conversation. 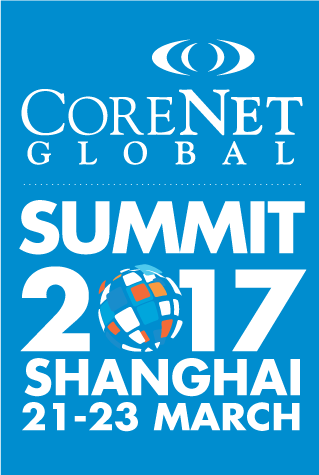 CNG: What should CoreNet Global Summit attendees consider about how to make bold moves even when they are with large organizations? OSMAN-RANI: Whatever the ‘bold move idea’ is, it will most likely evolve and quite often change into a model completely different from what was initially envisaged, after it is rolled out, and direct feedback is obtained from customers, suppliers, etc. So, don’t worry about coming up with the perfect idea with a detailed thought-out “plan” (with all sorts of contingencies mapped out) before rolling it. It’s impossible to perfectly anticipate a new product/service launch. Better to just roll it out with a “Minimum Viable Product” and start getting real feedback, and incorporate agility to quickly change it on the fly. Whoever leads and drives the “new bold move” matters a lot. Are they 100% committed? Do they have ‘skin-in-the-game’? Typically, outsiders brought in can work out better, because insiders typically have the “one-foot-still-in-the-door” of mother ship/HQ and they don’t want to ‘risk-it-all’ and prefer to maintain links with colleagues – which makes it hard to really create breakthroughs – especially ideas that challenge all the prevailing convention and wisdom built in the large organization’s HQ. At AirAsia X, we created a separate stand-alone company. We had to raise our own capital (pitched to, and raised money from Private Equity investors), applied for our own licenses, and recruited our own team. We had to pay AirAsia a brand license fee to use the same brand and have access to the same www.airasia.com website. As outsiders, we were able to start with a blank sheet of paper and dream up a whole range of services that went against AirAsia’s prevailing practices, as well as that of the standard industry practices (e.g., by Southwest, Ryanair, EasyJet, etc). Building on these first two points is putting in place the processes to move with speed and agility. Contrary to some beliefs, successful start-up environments are not “chaotic, fluid, “no process” cultures. Processes are absolutely essential – because from my experience, new employees who join start-ups are most frustrated by lack of clarity, constant changing, and haphazard work. But the processes are very different from corporate processes. For starters, throw out annual budget and planning cycles (or worse, the 3-5 year strategic planning cycles) and replace it setting goals and defining work priorities along 2-4 week sprints. At iflix, we focus on a rolling 30-day planning cycle. Restructure teams from traditional functional delineations (e.g., Marketing, Sales, Operations, Finance, Technology, etc.) and group people based on specific resources needed to complete the entire work of producing the output at the end of each sprint. Implement a daily rhythm with daily 15-minute scrums that gets everyone on the same page and surfaces any bottlenecks to the initiatives, so that they can be tackled offline. Most important of all is the specific practice of ‘retrospectives’ at the end of each 2-4 week sprints. Its so important to have proper scheduled time for each team to (a) present their work output, (b) learn from what they’ve done so that the next sprint is better (e.g., what worked well that we should continue, what didn’t work that we should stop, and what new idea should we try next based on what we’ve experienced so far). Check back tomorrow for part III (of III) and get other tips from Osman-Rani in this preview of his Summit keynote.